The pest control industry’s leading CPD register has taken on an IT expert to manage data and take the lead in a digital transformation project designed to help it improve its service to its members. BASIS PROMPT, a 4,800-strong register of pest control operatives, has appointed Andrew Boulding as its new data manager as it moves to an online registration system. 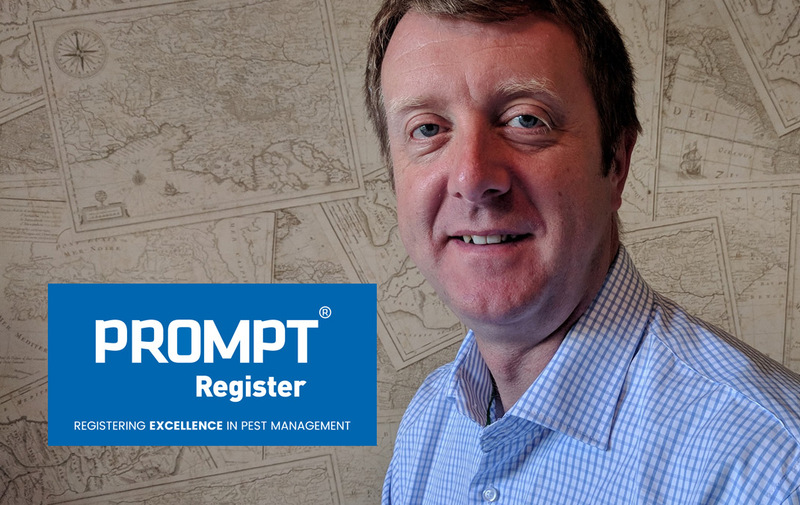 Currently, pest technicians who attend training courses, seminars and exams registered with PROMPT are required to fill in paper forms when they arrive in order to confirm their attendance. The forms are then processed at PROMPT’s headquarters in Ashbourne, when the CPD points are added to their personal accounts. Andrew, who has 18 years’ experience of working in IT for a number of high-profile organisations, is overseeing the digitisation of this process and says it will benefit attendees and event organisers greatly. He said: “The system will enable attendees to log their details in advance so that they will avoid the hassle of having to fill out forms on the day, while organisers will know how many people have confirmed their attendance on the day. Andrew originally had ambitions to become a farmer and studied for an agriculture degree after leaving school. However, he switched from harvesting crops to harvesting data when the foot and mouth crisis, which enveloped the agricultural industry at the time he left university, severely limited the opportunities available to him and prompted him to move into IT. Andrew will also carry out data management duties for PROMPT’s sister organisation the BASIS Registration Ltd, an independent standards setting and auditing organisation for the pesticide, fertiliser and allied industries, and has also made sure that both companies are fully compliant with the new GDPR requirements. Stephen Jacob, Chief Executive of BASIS PROMPT, said: “We are investing heavily in the IT and admin side of our organisation and Andrew’s appointment will directly benefit all members and event organisers engaging with PROMPT. For more information about BASIS PROMPT visit www.basis-prompt.co.uk. Error: Error validating access token: Session has expired on Sunday, 17-Feb-19 03:23:39 PST. The current time is Thursday, 18-Apr-19 21:24:17 PDT.